The photograph's below have no particular category and are a compilation of notable pictures collected on my journey . The above footprint is clearly not human . It is a size 10 foot . It has a wedge shaped heel and nodules or a cracked pad style print . It was found on a remote fire trail in the middle of winter . 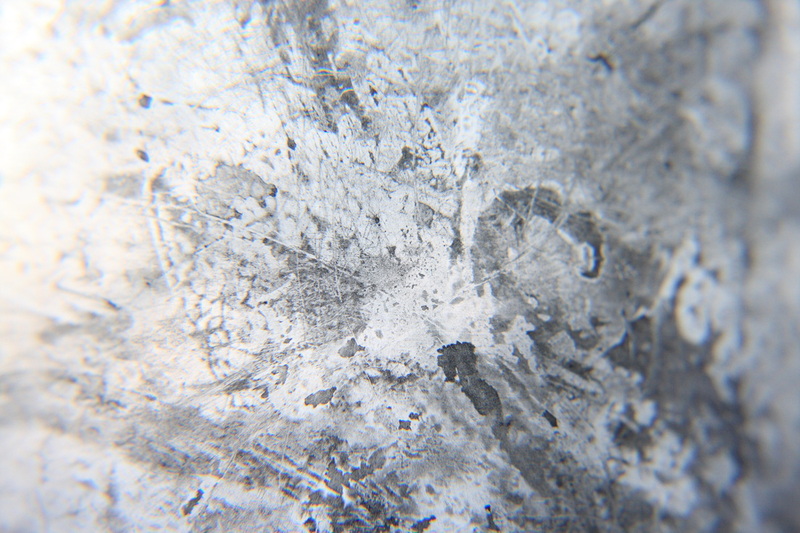 The nodules on the print match the nodules on the fingerprints collected in this area . 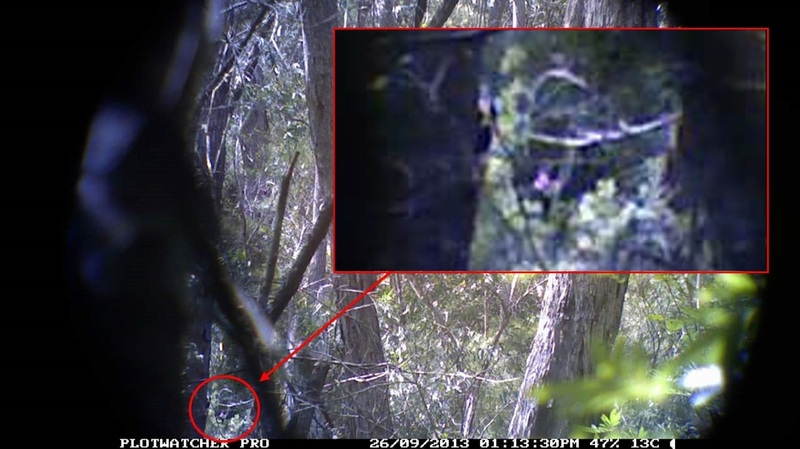 The above photograph was taken with a modified time lapse camera , it appears to show an ape with large ears on the side of his head and his back to the camera . 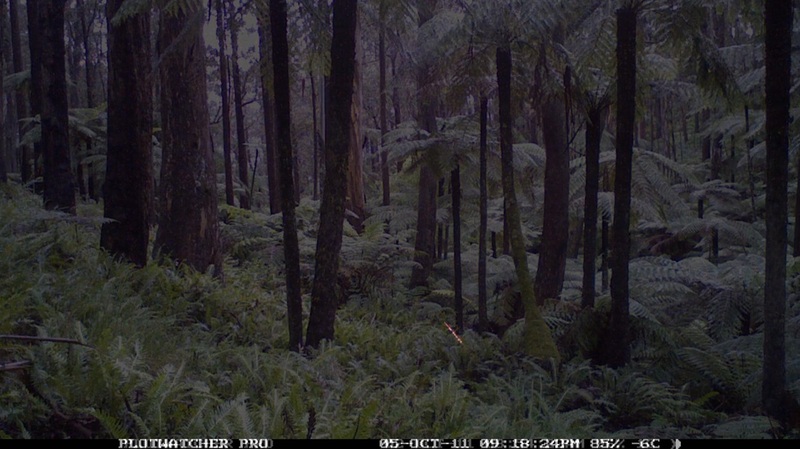 The above photograph is from the same time lapse sequence and is the same creature looking towards the camera and ears slightly raised . He appears to have a hunched back . The creature in the photograph could not be identified . The above hair sample , hair no.102 , was found in the exact location the unknown creature was standing . It's too long to be any Australian animal and looks human under a microscope . 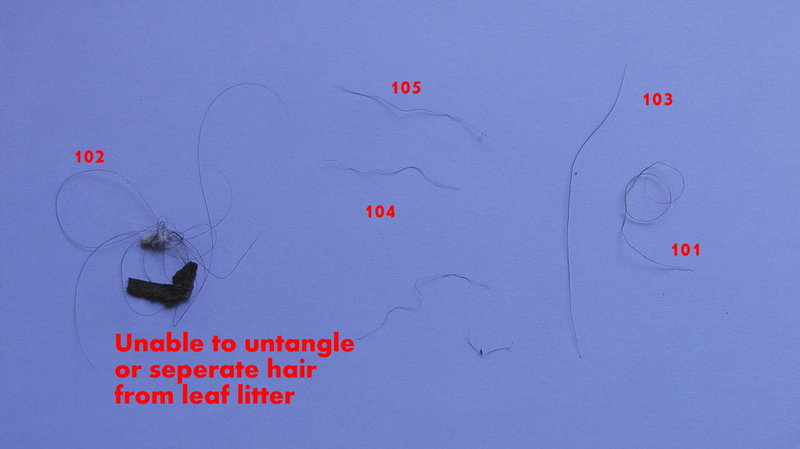 The above photo is a comparison of scale patterns of my hair and the unknown hair sample . The above photo shows a comparison between the root of my hair and the unknown hair . The above photo shows a comparison between the medulla of my hair and the unknown hair . The above photo shows a comparison of my hair tip compared to the unknown hair . The above fingerprints were collected off a plastic jar containing food and left at the feeding area , they are not human . The above hair sample is one of many collected at the feeding site , three separate experts came up with three separate conclusion's as to what the hair belonged to . 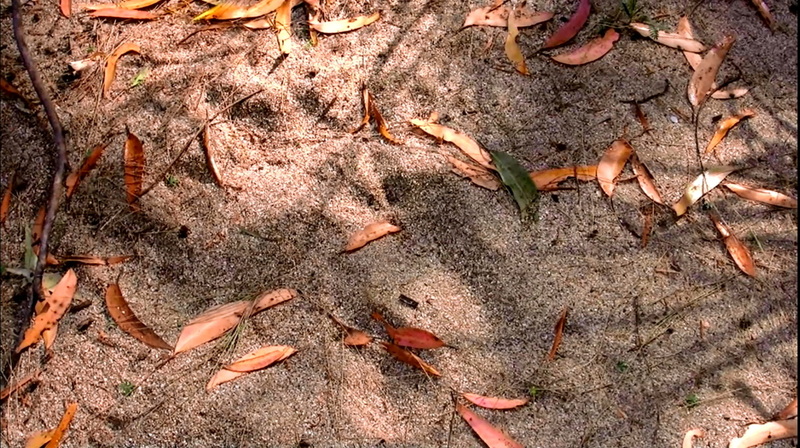 The above standing or squatting footprints were collected at a remote creek . This creek took 45 minutes to walk to from a remote fire trail . The prints are around 20 cm long , not an adult footprint and possibly from the smaller sized hominoids . There appears to be doodling in the sand in front of the footprints . 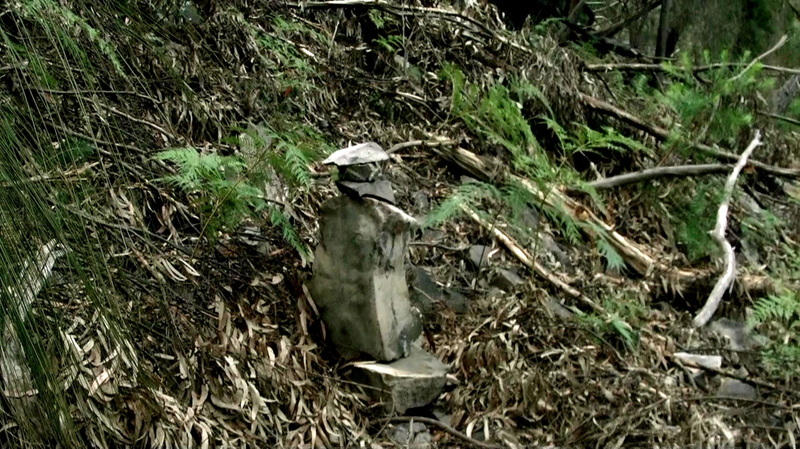 The above rock piles were also found in the same remote area . There is no record of them in any Australian surveyors archives and may be Aboriginal Ceremonial Stone Arrangements . It is thought that yowies may also construct rock piles but for reasons unknown . 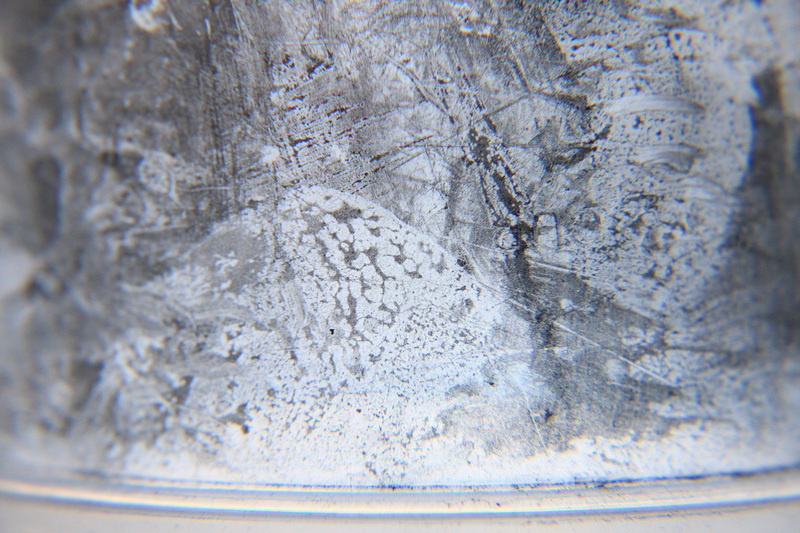 The above photo of the single delicate stone structure is puzzling . A tree has fallen over the top of it . If it were aboriginal one would imagine it would have fallen over long ago . This one may be being maintained . The above photo is actually two photo's joined together to show a daytime perspective of a small string of lights towards the bottom and centre . An entomologist confirmed these lights to be fireflies , previously undiscovered in this area .